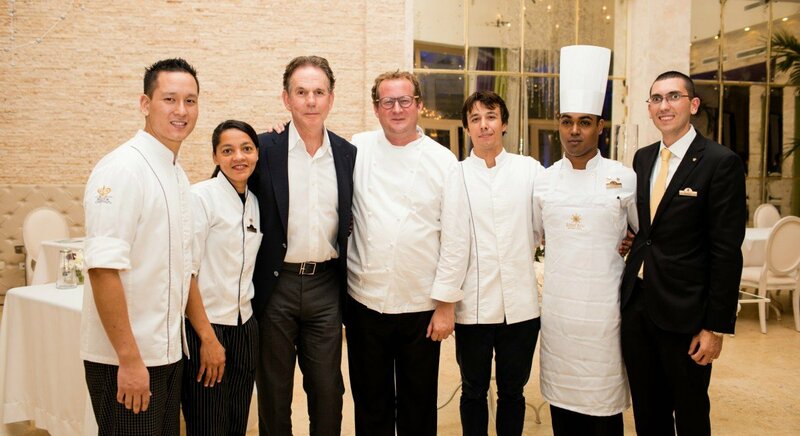 Eden Roc at Cap Cana’s commitment to culinary excellence was on full display when we welcomed Chef Thomas Keller during our Golf & Gastronomy Weekend celebrated on November 15th -19th. 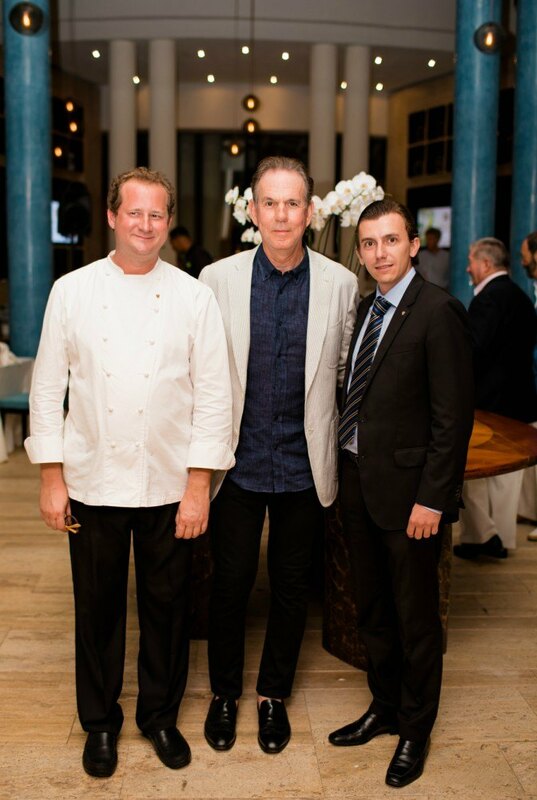 Known for his exceptionally high standards, culinary skills and being the first and only American Chef to be awarded three stars in the inaugural Michelin Guide, Chef Keller’s visit sure elevated the resort’s dining experience as it marked a major culinary step for the first and only Relais & Châteaux property located in the Dominican Republic, also known as a culinary destination throughout the Caribbean. Our Golf & Gastronomy Weekend experience was an opportunity for guests to learn more about the iconic Chef’s cuisine and passion and had also been invited to challenge Chef Keller at the #1 golf course in the Caribbean and Mexico, a Jack Nicklaus Signature Golf Course Punta Espada. The weekend’s line up started with a Meet & Mingle cocktail reception on Thursday, November 17 hosted by Chef Keller, followed by an intimate dinner featuring the Eden Roc team where we had the chance to enjoy seeing the celebrity Chef interact with guests. On Saturday, as the highlight of our Gastronomy Weekend we hosted The Gala-Dinner where Chef Gianluca Re Fraschini served a gastronomic feast at Mediterraneo Restaurant inspired by the legacy of Chef Thomas Keller. Chef Koyi Murrieta, Chef Roquelinda Oliveira, Chef Thomas Keller, Chef Gianluca Re Fraschini, Chef Alberto Garcia, Juan Carlos Bobe and Giovanni Odaglia. From the beginning Chef Keller inspired us with his mantra: “It’s all about Finesse”. A word of which he is fond of and sums of perfectly the image people have of him. It was an honor for Eden Roc to start the evening with such important words and Chef Keller willing to share his culinary experience throughout the years. We were all gathered in one place to deliver a true gastronomic experience by creating dishes that reflect the Chef’s own applications of rigorous classical French technique to create a new style of fine American dining. Chef Gianluca Re Frashini brought his style to life with his European sensibilities to the evening’s feast by serving main dishes as the famous Oyster and Pearl, sabayon of pearl tapioca. Followed by Scorpion fish, grilled artichoke with warm “Castellucio” lentils beeze of lemon from Menton. Also serving Suckling pig from Segovia, roasted endive “Erfoud” dates pesto and Banyuls vinaigrette accompanied by perfect wine pairing options, soft live music and exclusive cookbook signing (The French Laundry Cookbook) during the event. Among guests we had the pleasure to greet Joseph Essa – CEO of Wolfgang Puck Restaurant Group, Bill Anton – Chairman Emeritus of the Culinary Institute of America’s (CIA), Robert Walton – President of the Restaurant Association of Great Britain and owner of Nth Degree Dining Guide, Ciro Cascella – Arturo Fuente Cigar Club, Fernando Hazoury – Vice President of Cap Cana’s Council, José Antonio González – CEO Iberostar Hotels, Ernesto Veloz – Bavaro-Punta Cana Hotel Association, Danilo Díaz Granados – Shareholder, and Giovanni Ricotti from Los Corales Development. The final event of the weekend, our Napa Style Sunday Brunch might just be the ultimate local experience, as it featured the celebrity Chef gathered among guests and Dominican artisans showcasing organic products at distinctive market stands where everyone was able to taste local culinary delights, and a colorful and fun environment followed by “Merengue” dancing while enjoying gorgeous sea views at the resort’s beach club. 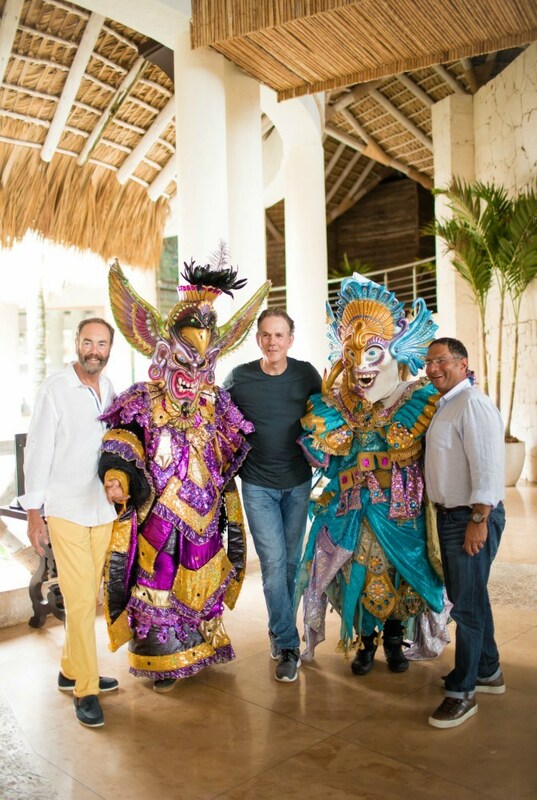 Bob Walton, Thomas Keller and Joe Essa with the traditional Dominican "Diablos Cojuelos"